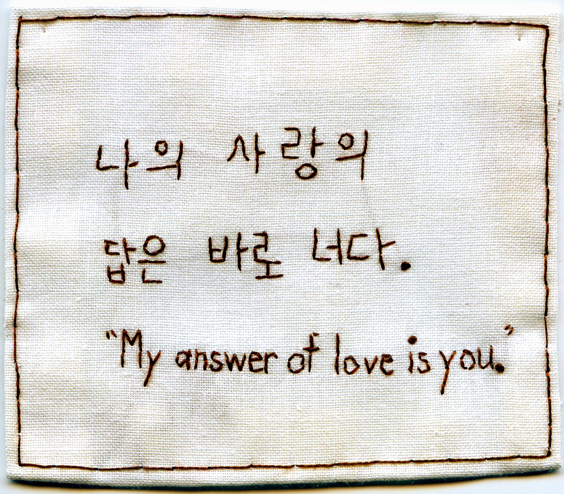 “My Answer of Love Is You.” In Korean and English. 2012. Embroidery on fabric. Borrowed text (Dumbo Arts Festival Embroidered Tweet/Post-it Note Confessional). 3.25″ x 3.5″.